Miami enjoys a great location that makes it the perfect base for exploring Florida. 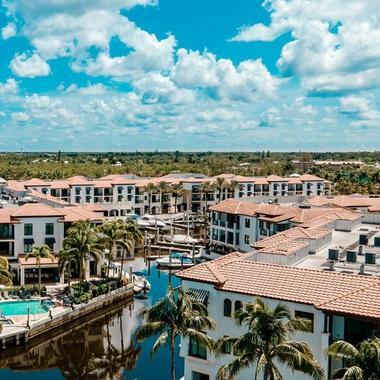 Plan a road trip and visit the beautiful Florida Keys, check into a quiet country inn or get to know Fort Lauderdale, West Palm Beach, St. Petersburg, Delray Beach, Naples and other charming towns. We've included driving times from Miami to help you plan your weekend trip. 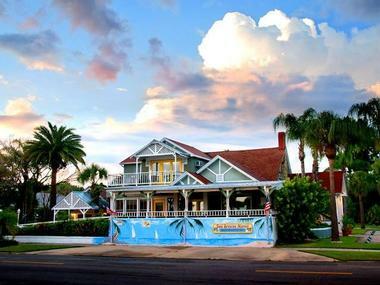 The Southernmost Point Guest House is a charming Victorian building with intricate Queen Anne details built in 1894, and it is located on the famous Duval Street. 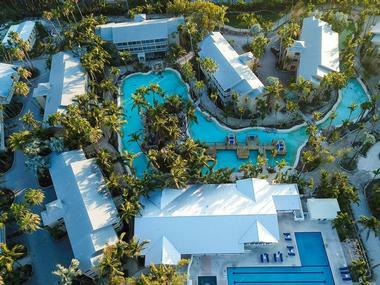 Neighboring the Key West Butterfly & Nature Conservatory and surrounded by lush tropical gardens, this lovely guesthouse offers peaceful oasis from all the Key West action. Ten cozy, spacious rooms and suites are beautifully decorated and have private bathrooms, flat-screen TVs, air conditioning, free Wi-Fi, coffee makers, refrigerators, and much more. Some suites have full kitchens, balconies overlooking the ocean, living rooms, or porches. Guests can enjoy comfortable hammocks in the shade of the garden, spacious porches, and cool swimming pool. Hot breakfast is served outside on the veranda. Located in two historic early1900’s houses and a cottage, Night Swan bed-and-breakfast is located right on the Intracoastal Waterway about 2.3 miles from the wonderful surfing beach and about 4.2 miles from Smyrna Dunes Park. Sitting on the spacious porch, veranda, or on the carefully maintained lawn, guests can enjoy spectacular views of the waterway and passing boats. 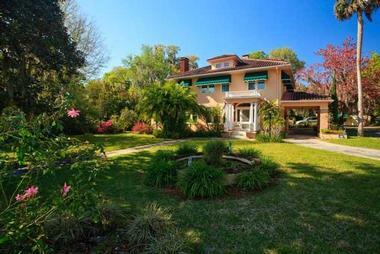 Palmetto Riverside Bed and Breakfast is located in an elegant, historic 1913 home overlooking the Manatee River, and it is listed on the National Register of Historic Places in the charming village of Palmetto. Only minutes from the magnificent white sandy beaches and a short drive to the attractions in Sarasota, Bradenton, Anna Maria Island, St. Petersburg, and Tampa, Palmetto Riverside Bed and Breakfast has its own 200-foot long peer and six luxurious rooms and suites. All are wonderfully decorated with antique furnishings and have private bathrooms, free Wi-Fi, and flat-screen TVs. Some also have view of the water. A hot gourmet breakfast is served in the screened Florida Room with a view of the Regatta Point Marina. Sundy House, an inn, restaurant, and botanical garden, features twelve guest rooms surrounded by tropical gardens that provide its guests with tranquility and beauty. The rooms and suites are each uniquely themed and decorated with original artwork. Guests can choose from six rooms in the Stable Building, each with a kitchenette, the suites in the Townhouse Building with full kitchens, or a historic cottage replete with all the necessary amenities for a self-catering cottage. 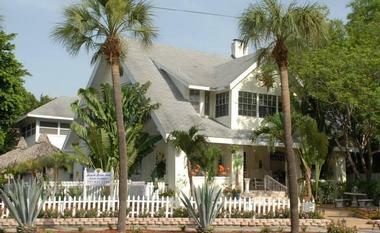 The Sundy House, located in Delray Beach, is within walking distance of shops, restaurants, and art galleries. It is close to Palm Beach, Fort Lauderdale, and Miami. 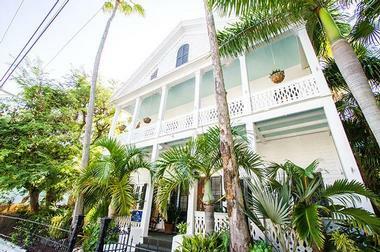 Built in 1889 by Francisco Marrero, a prominent cigar maker, Marrero's Guest Mansion invites visitors to relax in a historic environment and enjoy Key West’s famous Duval Street from the veranda. The grand Victorian mansion has been carefully updated by maintaining the original architectural details while still providing for modern amenities. Guests will find a variety of room sizes and styles at this mansion. Further amenities include an expanded continental breakfast, daily Happy Hour, extensive tropical gardens, a heated swimming pool, and an outdoor shower. All rooms are non-smoking and include a refrigerator, air conditioner, and cable television. Off-street parking is available. The Tropical Inn is situated in the heart of Old Town, Key West and provides an excellent location for accessing all this town has to offer. The two-story Main House is a “Conch House” in style and was built in the 1800’s. There are six rooms in the Main House, all of which have queen beds and private bathrooms. Three rooms share a veranda overlooking Duval Street, and three have private balconies with garden views. There are also three cottages that house five queen rooms nestled in the property gardens near the waterfall pool and hot tub. An extensive continental breakfast is available to guests. Beach Drive Inn is a historic circa-1910 bed and breakfast located on Beach Drive on the edge of the Historic Old Northeast. The inn is just a short walk to St. Petersburg’s waterfront and North Straub Park, and it is close to the Museum of Fine Arts, restaurants, shopping, and other attractions. Four beautifully decorated luxury rooms and two suites have their own unique vibe and décor, along with private bathrooms and free Wi-Fi. Suites have romantic four-poster beds, sitting areas, whirlpool tubs, and views of the waterfront. A hot breakfast is served in the dining room, and there is also a guest pantry with a microwave and fridge. Guests are also welcome to enjoy a spacious terrace with a BBQ and a sundeck on the roof. 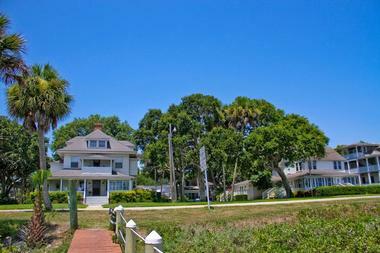 The Hoyt House Inn on Amelia Island is a 10-room bed and breakfast in a 110-year old plantation style home. Nestled in the Historic District of Fernandina Beach, the inn is close to the restaurants, boutiques, and antiques shops that populate the seaside village. Each guest room has been decorated in unique 1900’s decor. All rooms have individual heat and air conditioning control and private baths with both terry wraps and robes. Guests may choose from king or queen size beds. Regardless of room choice, guests will enjoy complimentary bottled water, fresh baked cookies, and toiletries by Gilchrist & Soames. Offering rooms in three different buildings of varying age, the Amelia Island Williams House is an 11-room inn on Amelia Island. Guests can choose to stay in the Williams House or the Hearthstone House, both 19th century Antebellum Mansions, or in the Carriage House, a replica of the original carriage house built in 2003. All eleven guest rooms include king or queen beds, custom linens, and private bathrooms. A 2-course breakfast is served daily consisting of a fruit dish with baked goods and a savory dish of eggs & sausage or a signature dish. Some of the signature dishes include blueberry stuffed French toast and asparagus bacon quiche. The Cinnamon Inn is a quaint bed and breakfast full of Southern charm surrounded by 4.5 forested acres about 2.5 miles from downtown Mount Dora. Removed from the tourist hustle and bustle, The Cinnamon In is only a short drive away from Trimble Park with its playground, a public boat ramp, picnic tables and a pavilion, Renningers Antique Market, and Mt. Dora’s downtown shopping. Watergarden Inn is a contemporary bed and breakfast in downtown St. Petersburg surrounded by more than half an acre of lush, tropical gardens, and it is just a short walk to the Beach Drive restaurants and shops, world-renowned museums, Tampa Bay's scenic waterfront, and the busy marinas. Boyd Hill Nature Preserve is less than six miles away. All 14 serene, understated rooms and suites located in two buildings have flat-screen TVs, Keurig coffeemakers, and free Wi-Fi. Some rooms also have desks, whirlpool tubs, wet bars, and living rooms. Some suites have kitchenettes and private porches. 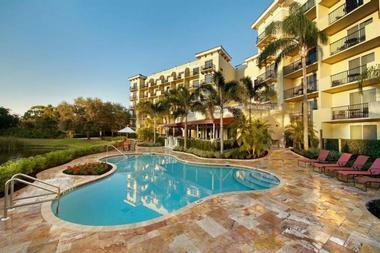 Guests enjoy hot continental breakfast, a patio, and a large swimming pool surrounded by the lush garden. 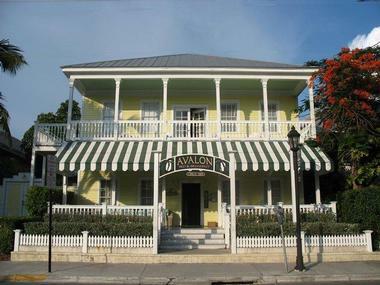 Old Town Manor, a 14-room bed and breakfast located one half block from Duval Street in Key West, is perfectly situated for you to enjoy the splendors of Key West. Built in 1886, the manor is rich in history and style, yet it is also a very modern destination. Just steps away from Fort Lauderdale Beach, this inn bills itself as a “European styled boutique resort.” The Granada Inn has twelve guest rooms from which to choose, each distinctly decorated. The rooms range from a standard size guestroom to junior suite to full-size suite. Each room has its own entrance and features private baths, thermostat, cable television, beach towels, and complimentary Wi-Fi. The inn boasts a rooftop deck and lounge large enough for big gatherings, yet it is also very private. There is also a secluded, private pool and sundeck lined with palm trees and tropical plants. Parking is free at the inn. Built in 1908, Larelle House Bed and Breakfast is located in a Queen Anne Victorian home situated in St. Petersburg’s historic waterfront district Old Northeast, just one and a half miles from the Saint Petersburg Museum of History and one mile from the Dali Museum. The lovely inn is surrounded with meticulously manicured grounds and a quirky gazebo in the back with the in-ground spa. Four luxurious bedrooms are filled with period antiques and have private bathrooms, TVs, fine linen, free Wi-Fi, DVD players, and complimentary chocolates, port wine, or sherry. In the morning, guests wake up with the smells of freshly baked goods served in the elegant dining room on heirloom china. Wine and cheese are offered at happy hour, and guests are welcome to use the inn’s hot tub and bikes. The Avalon Bed and Breakfast is a boutique inn that offers guests the choice between nineteen rooms in an 1800’s Victorian house. 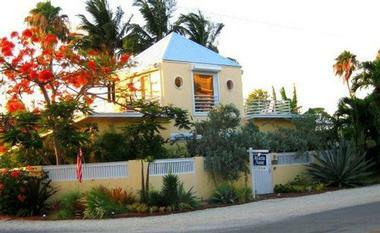 It is one block away from the Southernmost point in the continental USA and steps away from the beach. All rooms feature private bathrooms, mini refrigerators, A/C, cable TV, telephone, and over-the-bed canopy nets. Guests can choose from rooms with queen or king size beds. A complimentary continental breakfast buffet is served every morning on the front porch and includes an assortment of bagels, breads, and sweet pastries with accompaniments. Assorted seasonal fruits, hard-boiled eggs, yogurt, granola, coffee, juice, and assorted teas are also on offer. 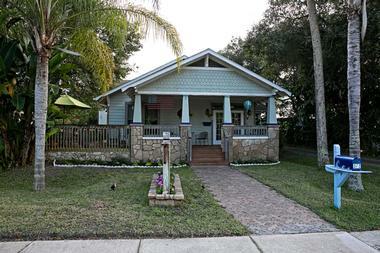 Anchor Inn Bed and Breakfast is located in a quirky, charming 1920’s Craftsman bungalow situated in the historic part of New Smyrna Beach only a short walk from restaurants and boutiques¸ the Intracoastal Waterway, and the local marina. It is also only about a two-mile bike ride from the beautiful beach. Six lovely, colorful ocean-themed rooms full of art by local artists have private bathrooms with whirlpool tubs, cable TV, Wi-Fi, DVD players, hand-crafted beds, unique hand painted furniture, and French doors. All rooms open to a deck overlooking a beautifully landscaped area. Guests are treated with a hot three-course gourmet breakfast, and coffee and tea are available all day long. Atlantis House is an intimately sized bed and breakfast that offers its guests two suites from which to choose. Located adjacent to the Key West Marine Park and Beaches, this B&B specializes in offering services to those interested in maximizing their experiences in the Key West aquatic park. A beautiful Victorian home built circa 1904, The Mermaid and The Alligator is situated directly in the heart of Old Town Key West. The inn offers six uniquely decorated rooms in the mansion that feature king or queen size beds and large spa-style bathtubs & showers. 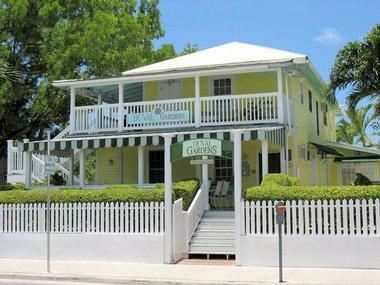 Three rooms are available in the 1880's cigar maker Conch Cottage. These rooms are accessible through the garden of the inn and feature all of the amenities of the main house. All rooms have private outside entrances. Breakfast is served poolside and consists of an assortment of muffins and cereals as well as a hot entrée each morning. 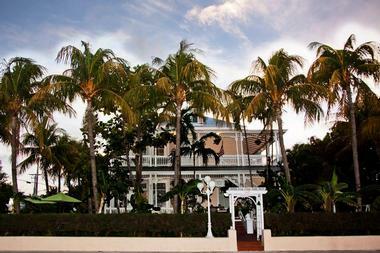 Ambrosia Key West is a bed and breakfast located in the Old Town Historic District and within walking distance of most of Key West’s attractions, museums, beaches, and water sport activities. The inn offers rooms, suites, townhouses, and cottages, all of which feature private entrances from verandas, patios, and gardens. All accommodations have private baths. Located only 45 minutes from downtown Orlando and about one hour from the beaches and Disney, Magnolia Inn is a stately Mediterranean-style 1926 bed and breakfast surround by beautifully manicured gardens. Only a few minutes from the center of the charming village Mount Dora, Lake Dora, and unique antique shops and galleries, Magnolia Inn offers four uniquely decorated rooms and a carriage house with private bathrooms, air conditioning, TVs, free Wi-Fi, hardwood floors ceiling fans, and antique décor and furniture. The charming carriage house has a kitchenette and a private patio. Hot breakfast is served in a stately formal dining room, and guests can also enjoy a parlor with a romantic fireplace, a bright sunroom, and the lovely backyard with hammocks, a swing, and a gazebo. 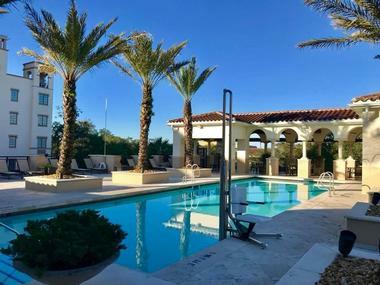 The Alfond Inn is an award-winning philanthropic boutique hotel located in Winter Park, Florida, a few minutes from Rollins College. The hotel has 112 luxury rooms and more than 10,000 square feet of event and meeting space. The rooms are elegant and understated and have modern amenities such as free Wi-Fi, flat-screen TVs, iPod docks, minifridges, and coffeemakers, while some have living rooms. Beautifully designed, the hotel has bright, open lobbies, a verdant courtyard, a pool, a gym, a ballroom, a restaurant, a bar, and an incredible collection of art from the Cornell Fine Arts Museum’s Alfond Collection of Contemporary Art. The hotel’s net profits fund Rollins College scholarships through the Alfond Scholars program. 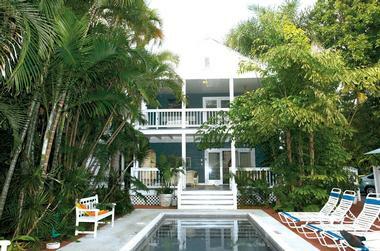 Duval Gardens Bed and Breakfast in Key West has four different room types from which guests can choose. All rooms are unique in their size, shape, and décor. However, all feature private bathrooms and mini refrigerators and are non-smoking. An expanded continental breakfast buffet is served daily on the front porch overlooking Duval Street. The grounds feature a large heated pool and tropical gardens. 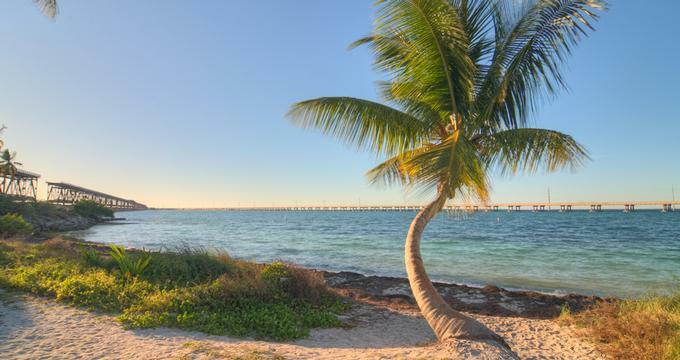 A short walk to Mallory Square will allow guests the opportunity to enjoy the famous Key West Sunset Celebration. The inn is in the heart of the Key West’s restaurant district and surrounded by fine restaurants guests can consider for dining out. 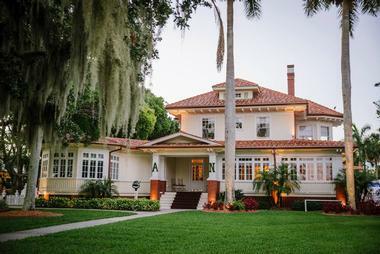 The Sea Breeze Manor, built in 1923, is a 6-room bed and breakfast that invites guests to combine their love of the beach and appreciation of history into one memorable stay. Located directly across from the Boca Ciega Bay beach, the main house is a classic Tudor style building and is perfectly located for exploring the beach and surrounding town. Each of the three queen and three king size suites comes with a private bath featuring a separate tub and shower, inside sitting area, flat screen TV, and private balcony or patio with dining area. For breakfast, guest can select from the Crepe Café menu, and their meal will be served in their rooms.